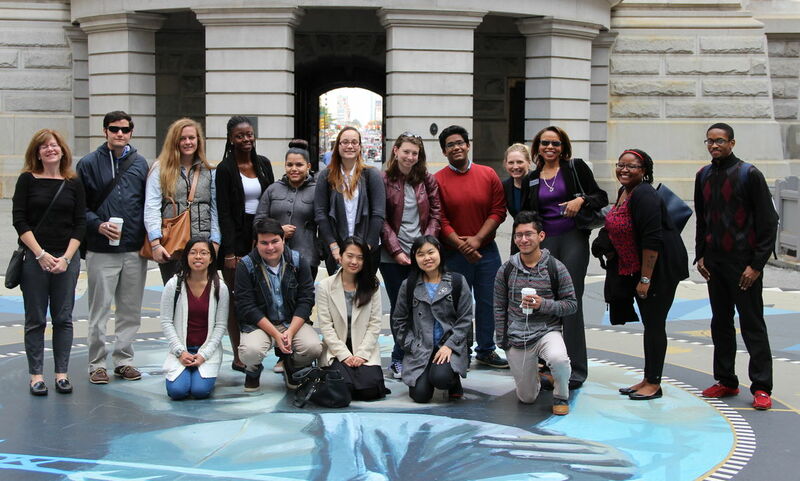 Throughout the academic year, the OSPGD delivers programming which helps students and graduates understand and articulate the value of their liberal arts education, acquire life skills, and gain exposure to the variety of experiences and careers they may want to pursue during and after college. Below you can learn more and explore a selection of some of our recurring programs and events. OSPGD's calendar of events details some, but not all of our programs, workshops, and information sessions. Students can learn more about events via our emails, newsletters, and Handshake. Helping students identify, initiate and develop relevant professional connections. 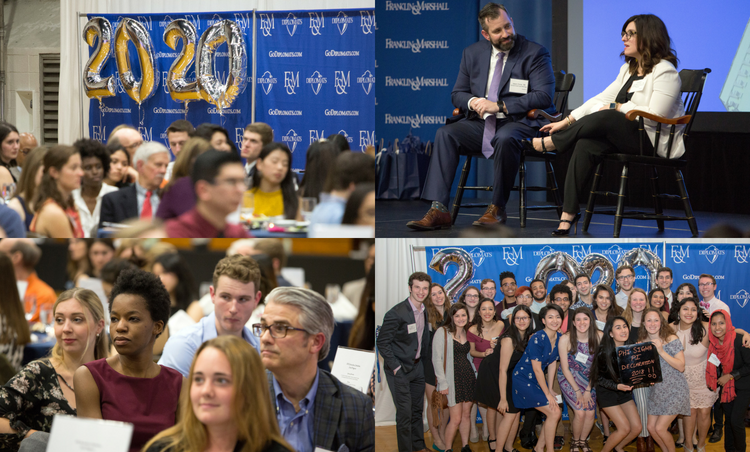 In recent years, speakers have included Adam Schecter P'16, President of Global Human Health and Executive Vice President at Merck & Co.; Paula T. Dow, Esq., '77, Superior Court Judge for New Jersey; and Dennis Wint, Ph.D., P'16, CEO of The Franklin Institute. The speaker events are complemented by sessions in which students explore opportunities and pathways of interest while developing their networking, time management, communication and other important skills. 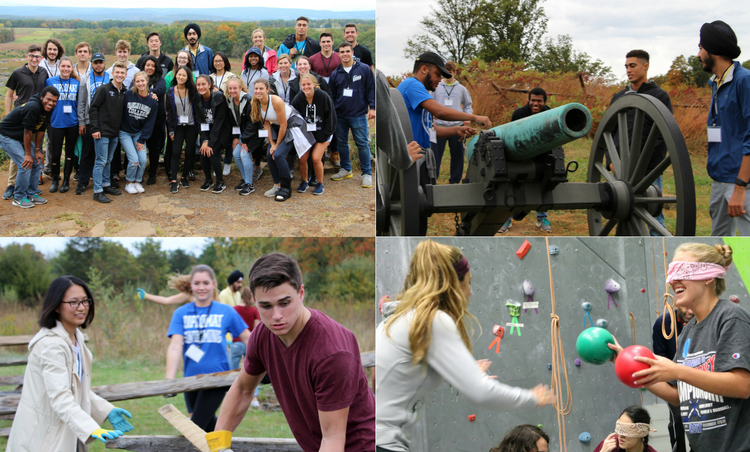 Using principles drawn from business, industry and competitive sports, the Harwood Leadership Seminar covers, among other things, leadership styles and values, communication, team-building, goal setting and resilience/adapting to change. The Seminar also includes an overnight trip during Fall Break to the Gettysburg Battlefield to participate in Gettysburg Foundation's "In the Footsteps of Leaders" workshop, and a field trip to Spooky Nook in February for an action-packed leadership development program. The program is limited to 24 students who apply and interview for the seminar, and is held every academic year. Offered in the fall and spring to seniors, the Senior Boot Camp is an all-day intensive program to help job-seeking seniors secure employment before graduation. 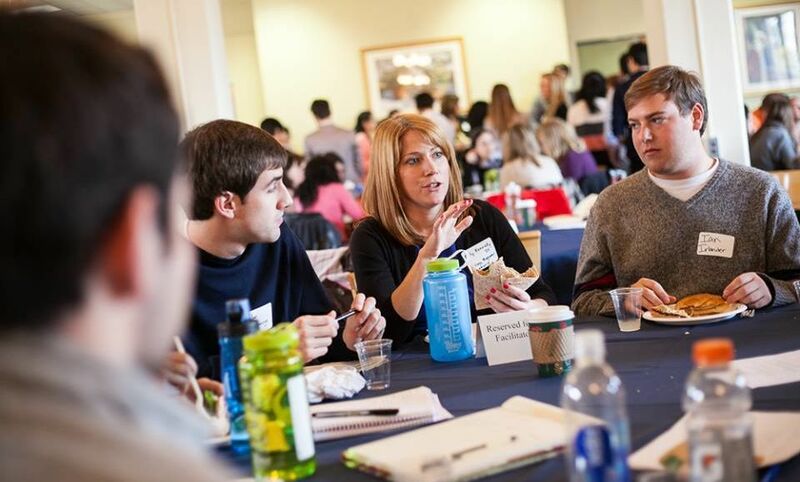 During the Boot Camp, seniors identify a range of potential job opportunities, strengthen their networking skills, clean up and leverage their social media accounts to make professional connections, refine their resume and cover letters, and practicing their interviewing skills with the assistance of F&M alumni, parent, faculty and professional staff volunteers. "Improving Mother Earth: Careers Relating to the Environment," hosted in collaboration with the Earth & Environment, Public Health and Business, Organizations and Society Departments. 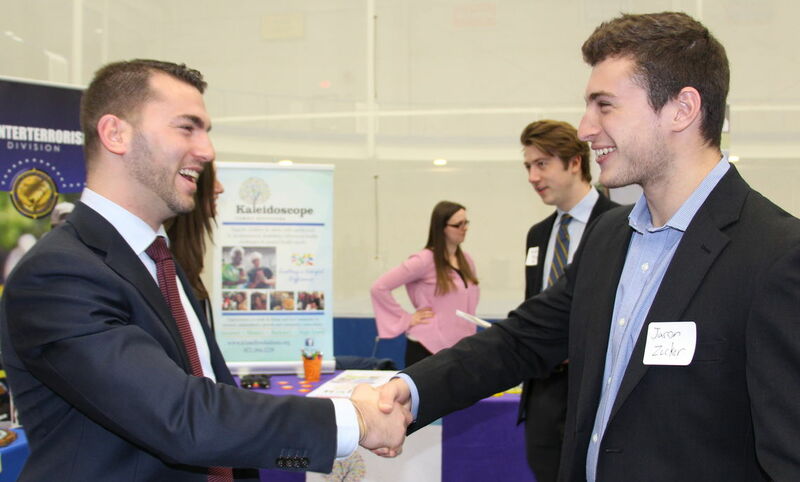 OSPGD's annual Job & Internship Fair attracts 70+ local, state and national employers offering full-time, part-time and seasonal employment as well as internship opportunities. 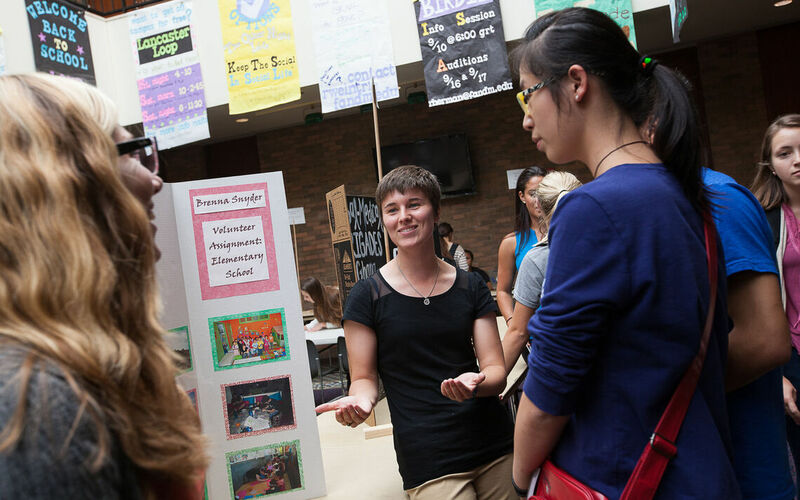 The Fair gives students the opportunity to practice networking skills while articulating thier experiences and liberal arts education. Sponsored by the Office of Student & Post-Graduate Development (OSPGD) in collaboration with the Sophomore Class Caucus, Office of the Provost and F&M Alumni Association, the Declaration Celebration marks the academic milestone of major declaration by bringing together alumni and faculty to welcome sophomores into their new academic communities and demonstrate that the career pathways which flow from every major are many. What better way to learn about industries than to immerse yourself in them? 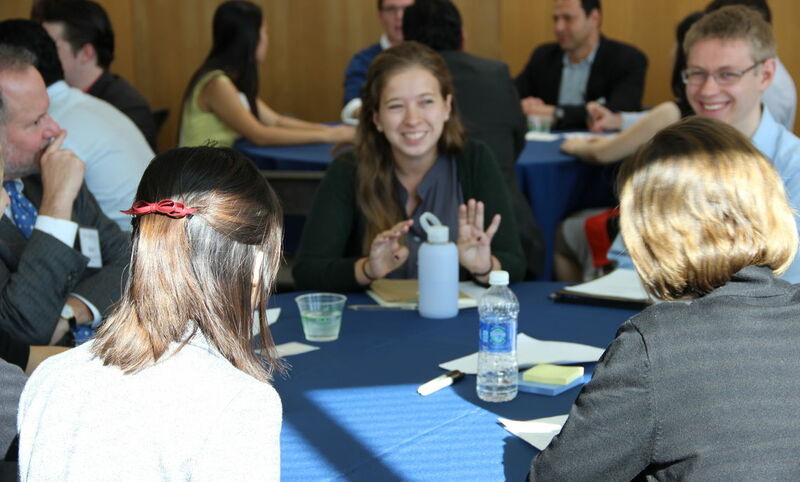 This is the premise behind OSPGD’s Immersion Trips, during which F&M students visit organizations and potential employers, receive the insider perspective on what it takes to break into and thrive in particular fields, and attend networking receptions with F&M alumni, parents and friends of the College. 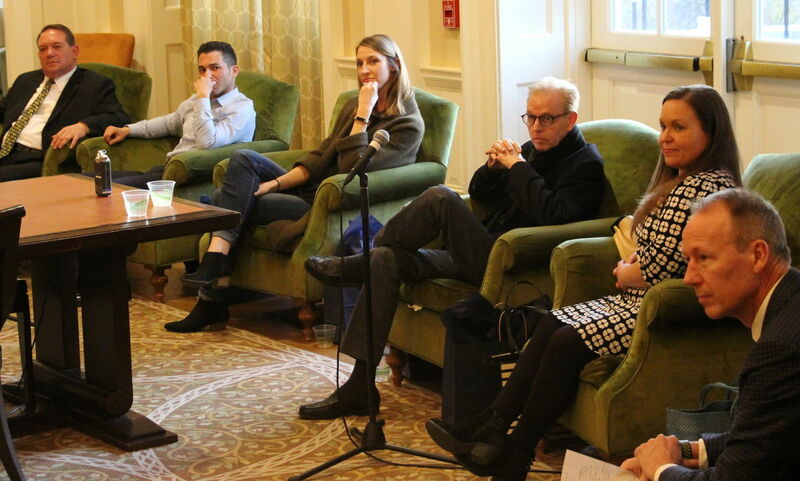 From finance in New York, to think tanks in DC, the theme and location of the trips differ each semester and cater to the varied interests of our liberal arts students.